Our Vienna led bathtub faucet is an impressive addition to any modern bathroom. 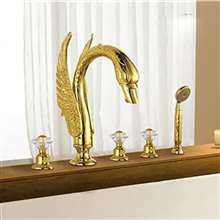 The deceiving simple design of the classic lines of the spout and handles fades away once you turn it on and a colorful waterfall starts. 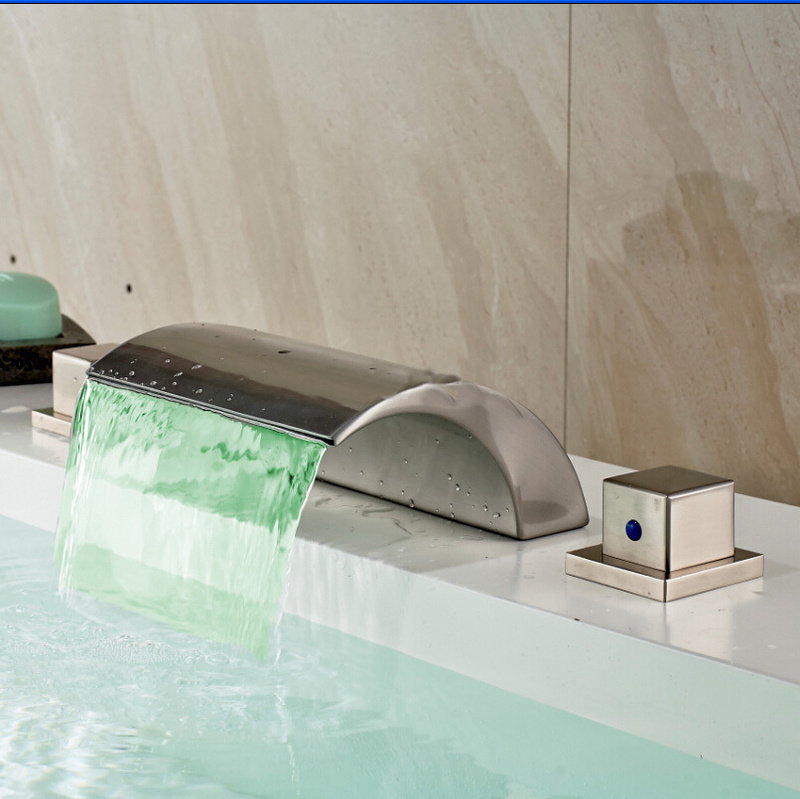 The LED light are activated by the water flow, so no electrical connection is needed. 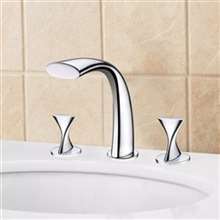 It comes with brushed nickel finish, it is deck mounted, three holes, with two handles for your convenience. The body and handles are made of brass, while the valve core material is ceramic for best performance and long lasting life time. It comes complete with accessories and installation instructions. 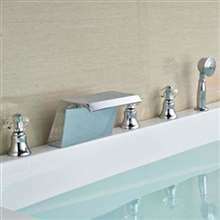 We just had a new tub installed, and though it came with its own set of bathtub faucet, we really didn't like the set. So we decided to have our plumber install a new one, and this was our choice. Well, it was actually a great choice, since we really love this one. It looked really nice there paired with the tub, and it works just as great, too. Definitely worth the change.